Compared to years past, 2018 was a relatively mild brewing year for me. Over the past few years, I've become moderately obsessed with running. And I've found that the more I run, the less time I have for brewing (and drinking) beer. Still, I brewed five times in 2018, focusing on lower ABV, more sessionable beers, the kind of beers I want to have three or four of during a spring BBQ or a fall Oktoberfest party. 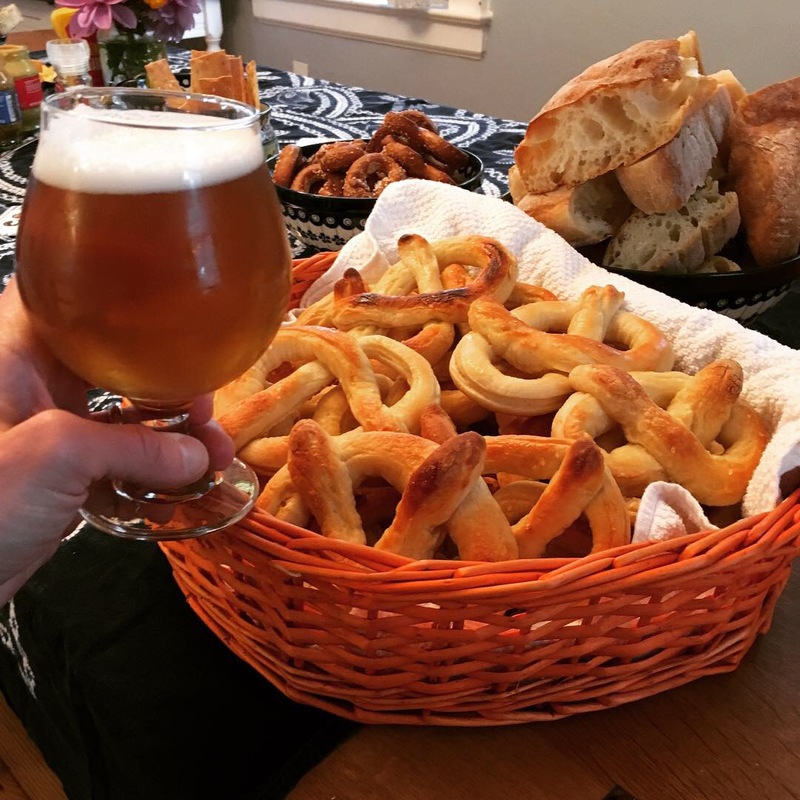 I brought back one tried and true recipe in the Kölsch, while experimenting with more new styles, and nary an IPA in the bunch. The real highlight was the Festbier, a recipe I cribbed from Craft Beer & Brewing magazine. I'll definitely dogear that one to revisit again next summer. Near the end of the year, there was one small hiccup. When I got a new phone, I learned that my favorite brewing app, which I'd been using for probably five years, went out of business. It disappeared from my phone, along with all of my collected brewing data and recipes. It's in instances like these that you realize how much we rely on our devices, entrusting our hardwon knowledge with an app that could easily go kaput without warning. Thankfully, this blog is a good backup for collecting all my old recipes, and if it stops working, I'll only have myself to blame. As I assess the year that's ending, I'm setting goals for the year ahead. I hope to brew four to six batches in 2019 and continue to try to make new, drinkable styles that are often too hard to find in a craft beer monopolized by mediocre IPAs. One of the first things I'm going to do is look to find a new brew-day app, right after I enjoy one last homebrewed pint to see out the year. Tasting notes: This aged really nicely. At six months old it was even better than when I tapped it. Hearty, with a thick creamy head. A bit bready, but also light and drinkable. Probably better on a cool fall or spring day but very sessionable even at the height of summer. A nice, substantial brown ale and a bit of a pleasant surprise. Tasting notes: Light, crisp, sweet blonde ale with a nice creamy nitro hed. A strange hybrid of a Belgian and Irish ale, but very drinkable. Tasting notes: Dry, drinkable. A hint of blood orange without being over powering or syrupy or cloying. Good sparkling head. Totally decent spring beer. Tasting notes: Sweet, bready, with a hint of fruit (strawberry almost?) Clear, crisp. Good spring and fall beer. Delicious. Tasting notes: A light, Hofbrau-style Festbier. Golden, clear, crisp. Dangerously light tasting. A new favorite for the season. Tasting notes: Great creamy head, thanks to the nitro tap. Cloudy, golden farmhouse hue, like straw. Dry, crisp wheaty beer. A hint of apple tone.